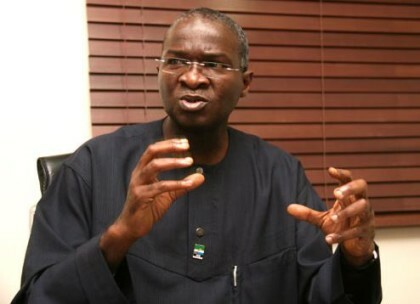 Hakeem Bello, Abuja: Even as the nation begins to experience a gradual turnaround in its economic fortunes, Minister of Power Works and Housing, Mr. Babatunde Fashola SAN, has assured Nigerians of yet greater things to come saying the Federal Government was committed to making their lives better. Fashola, who was represented in Lagos on Sunday at the 20th City People Awards for Excellence by his Special Adviser on Housing, Mr Abiodun Oki, said although the Government was gaining momentum as the results of its policies, programmes and actions were beginning to manifest, the All Progressive Congress, the architects of Change, knew that the work was not yet done but just beginning adding that even those working in the government also knew that it could be a lot better. The Minister, who was presented the ‘Minister of the Year Award’ at the occasion, dedicated the Award to the entire Government body whom he likened to a football team saying just like in a football march, there would be no good striker, midfielder and defender in a team that did not do well. “A successful team is led by a Great and resourceful manager, who often has a dependable assistant. In our Government team, President Muhammadu Buhari has discharged that role effectively by picking a team of Ministers whose commitment to change is unquestionable and the Vice President has demonstrated his ability to complement this vision of change and his dedication to help midwife it. On their behalf I accept this Award”, he said. And because of their support and cooperation in financing the various projects of his Ministry, Fashola also dedicated the Award “to those who exercise the power of appropriation in the National Assembly” the Senators, House of Representatives members and all their Committee Chairmen, members and staff, adding that they were the real owners of the Award. Others on behalf of whom he accepted the Award, according to the Minister, were the Judiciary “as members of the team of change” without whose prompt and efficient determination of some court cases the progress so far achieved would have been hindered. “No team is complete without the army of backroom staff who we never get to see, but who help the players enormously. The Ministry of Power, Works and Housing is blessed with an army of hardworking civil servants, led by two Permanent Secretaries, Directors, the Heads of our parastatals, Deputy Directors, Controllers and other staff who have signed up for change and are daily working towards it. I accept this Award on their behalf”, he said. Thanking City People and its management for inspiring the administration to pursue change, the Minister also acknowledged the All Progressive Congress, whom he described as “the architects of Change”, saying that although some significant progress has been made, the Party knew that the work was just beginning. “We the team members also know this. We know that it can be a lot better, we commit to do more and to make your lives better”, he said.